If only all weeds were this obvious, right? 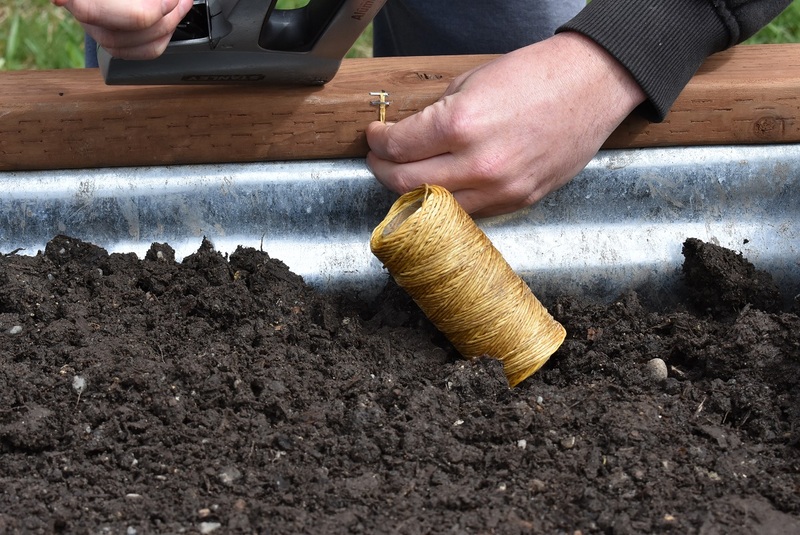 If you find organized planting and early weed identification to be the simplest, most hassle-free of tasks, this post is probably not for you. 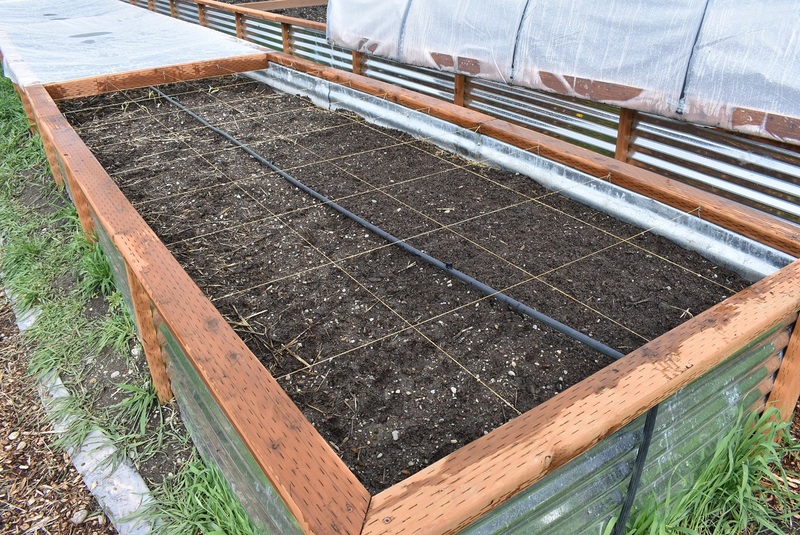 For the rest of us mere mortals, I’ll be writing a simple three step plan to turn your raised bed garden box (and if you don’t have one yet, make THIS one) into a neatly organized location for square-foot gardening, with weed identification built in as a free bonus. If that sounds like something you’ve been looking for, I think you’ll be pleased with this cheap, easy solution. 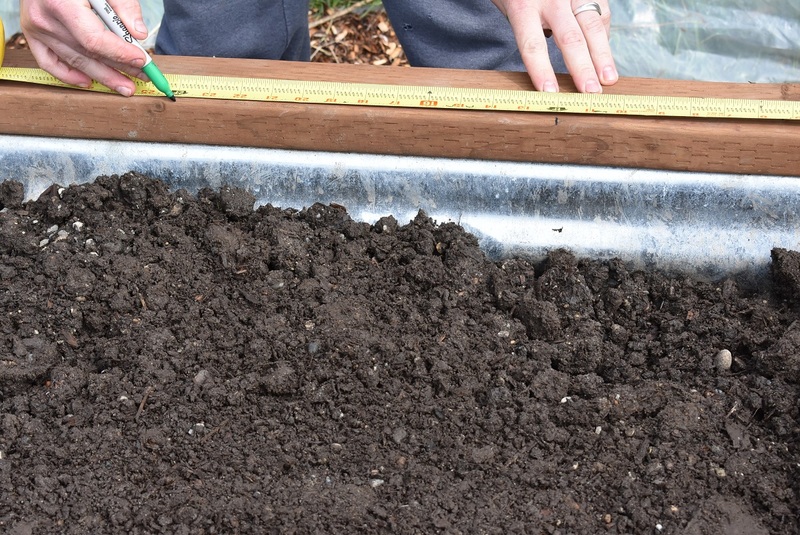 For square-foot gardening, it’s important to plot out your gardening space so that you’re actually planting in a square foot section and your plants aren’t over crowded. Well, last year, I drew out my grid in the dirt with a stick before I planted. It was simple and it looked great. While I was planting, I could clearly see where the lines were and where I needed to plant my seeds. Knowing where the seeds were meant I could weed more effectively. 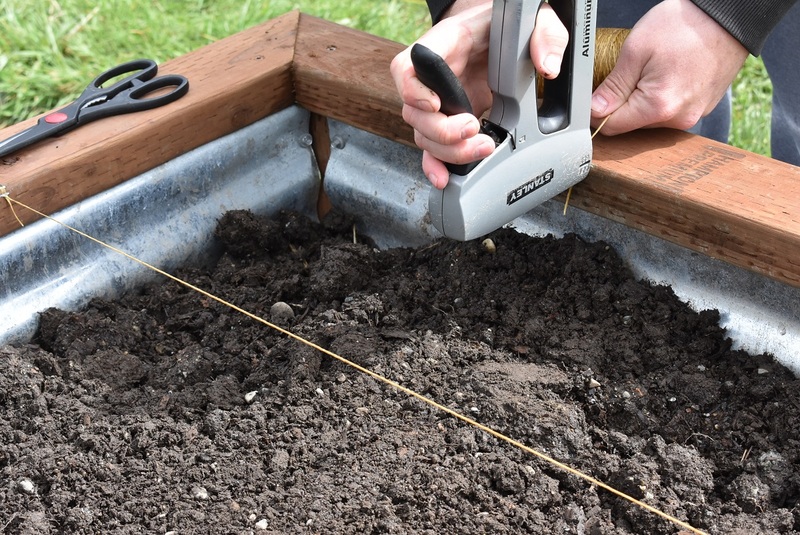 You may have noticed, some weeds and seedlings look an awful lot alike when they first pop up… But if you hesitate to pull them, because you forgot where you planted them, then the weeds may end up choking out your seedlings and ruining your garden. That’s what’s had happened to me before. Drawing the grid in the dirt was going to significantly reduce the likelihood of the weeds taking over, or so I thought. After the first week of planting, the watering blurred my lines so I couldn’t tell where they had been drawn. Fortunately, even though my grid was gone, I was able to fight the weeds and allow my garden to thrive; it just took way more time and consideration before I pulled anything. Time is something very important to me. After that experience, I was determined to find a better solution, a more permanent solution. I decided using string to outline my grid would be the least intrusive and most effective way of accomplishing my design. At first, I tried using a standard thread with about 7-pound pull strength, but that quickly lost its strength and broke. With that in mind, I searched for a more water resistant thread with a stronger pull strength. Wax Coated Simulated Sinew with 70lb pull strength seemed to be just what I was looking for and is the product I highly recommend for this project. This solution is simple to create and is a very effective tool; two of my favorite criteria. Use a tape measure and a marker to mark every foot of the perimeter of your box, making sure to start from the same end on the opposite side of your box to ensure that your marks line up. Use the staple gun to attach the Simulated Sinew to the mark you made, then bring the sinew across the box to the mark on the opposite side. Note: To ensure the Simulated Sinew doesn’t come out, staple near the top edge of your mark, with about an inch of it hanging down, then fold the sinew over and staple again. Repeat as necessary to make sure it’s secure. Repeat on the next set of marks until your grid is complete. 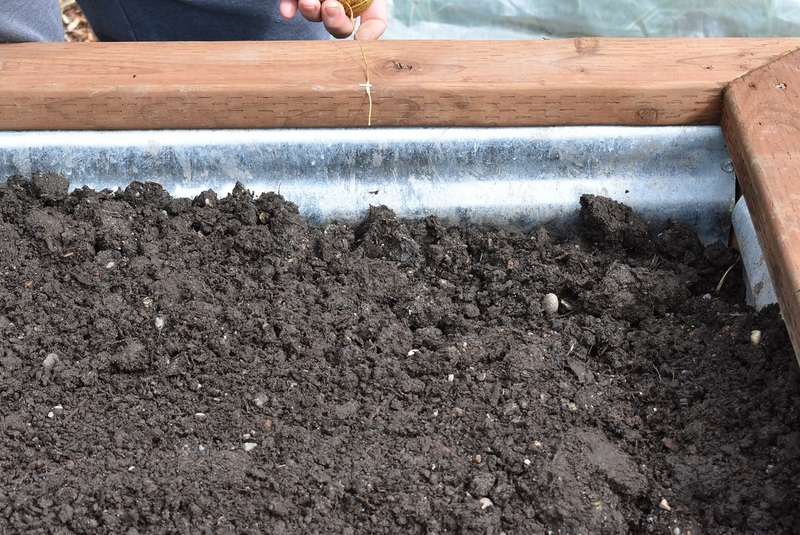 Implementing this grid on your garden will significantly improve your ability to tell a weed from a seedling. I hope you’ll find this process easy to do. May it be as useful to you as it has been for me.